Inequality is on the increase in Germany but unions are fighting back and the social democrats may yet win the election later this year. A recent opinion poll revealed that most Germans think top managers in the country’s big companies are paid too much. Three out of four Germans asked by Stern magazine said pay packets were too large. Fifty-eight per cent also said they believed legal limits should be imposed on the earnings of senior company executives who took home an astronomical €20 million in 2012. This poll illustrates that pay inequality – and more broadly social justice – are back on the agenda in Germany; and these themes look set to feature strongly in the campaign for federal elections in the autumn. This issue is wider than Germany alone, however. If progress is made on reversing the widening income gulf between the rich and the rest in the EU’s largest economy, then Spaniards, Portuguese and Greeks could benefit too, as millions of ordinary Germans have more money in their pockets with which to buy goods and services from Europe’s struggling periphery. Furthermore, it hinges on a central point in the battle for an alternative to austerity policies across the EU (Britain included). After some 10 years of wage restraint, unions in both the private and public sector are seeking substantial wage rises of 6.5% or more as some collective pay agreements for about 12.5 million employees expire this year. Germany has traditionally had lower wealth inequalities than other rich countries. But poverty is on the rise, including among workers, some of whom are being paid a scandalously low 55 cents an hour. At the other end of the scale Germany has 137 billionaires, worth a total of $550 billion. With corporations also recording a big surge in profits last year, they are perfectly able (if they choose) to redistribute more to employees on the shop floor. The main opposition Social Democrats, hoping to replace chancellor Merkel and her CSU-CDU coalition in Berlin, have also made better living standards for ordinary Germans a key campaign focus. The party charges that Merkel has neglected domestic social issues like establishing a minimum wage, lowering electricity prices and offering better child care facilities and education. They also claim that work doesn’t pay for a large segment of the German population. Leader Peer Steinbrück, who has courted bad press in the past for his relaxed attitude to money (he pocketed millions himself for making speeches) makes an unlikely champion of social justice. But the former finance minister maintains that his party would back big wage hikes, a federal minimum wage, a securer pension system, better care for the elderly and more equality at work for women. The party also wants stronger regulations on financial markets as well as more controls on tax evasion . The seemingly never-ending Eurozone crisis has its origins not only in seriously faulty architecture of the single currency, but its biggest member’s beggar-thy-neighbour approach. The crisis could be addressed in part if Germany, instead of insisting on endless rounds of austerity by its EU partners, took on some of the burden of reflating the European economy by boosting domestic spending, including via higher wages. 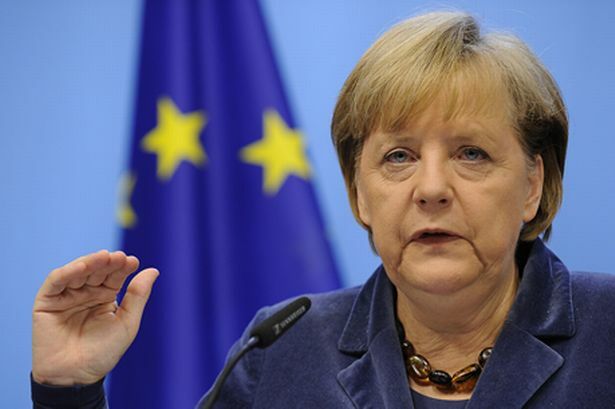 The current thrust of policy making across Europe is for the struggling PIIGS to imitate the labour reforms brought in by Germany under the previous Social Democratic government. But this is likely to unleash a dangerous downward spiral. Some credit Germany with having achieved a ‘miracle’. In reality the reforms – which included greater powers for firms to set pay locally – have created a low-wage sector and exerted downward pressure on wages across the board. Record low unemployment and strong growth in recent years have more to do with a huge fall in the export price of German goods abroad as a strong Deutschemark has been replaced by a weaker Euro. The combination of these two factors turned a once ‘sclerotic’ Germany into an economic powerhouse. But it was at the expense of the incomes of millions of Germans and the near collapse of the EU’s southern members’ economies. Anyone who wants to see an end to the self-defeating austerity dogma across Europe should be rooting for the country’s trade unions as they seek a larger piece of profits for their members. They should also cheer on the social democrats, who, having secured a surprise victory in regional elections in Saxony last month, may yet have a chance of gaining national power later this year. Oh golly, it seems that they don’t like us after all!! We’re sorry for being do poor! !